#2 in April 2000. Paul Swanson photo. 35-ton 2-6-0 #2 hauled logs/lumber her entire service life before coming to Mid-Continent. Lima Locomotive and Machine Co. built the small mogul in 1906 for Ellisville Lumber Company as their #1027 (its Lima construction number). 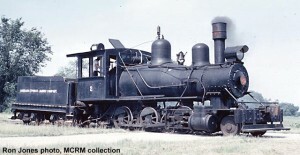 It was one of five locomotives used on the company’s line known as the Melrose and Leaf River Railroad. The Ellisville mill burned on October 24, 1908. The company soon went into receivership. The nearby Kola Lumber Company extended its line to the Leaf River area so that logs from Ellisville could be transported to the Kola mill. By 1914, #1027 was owned by Kola. About 1920, #1027 was sold to the Williams Lumber Co. at Ponchatoula, Louisiana, and sold again in May 1921 to the Joseph Rathborne Lumber Co. Rathbone closed in 1929 and was sold to the Joyce interests of Chicago. 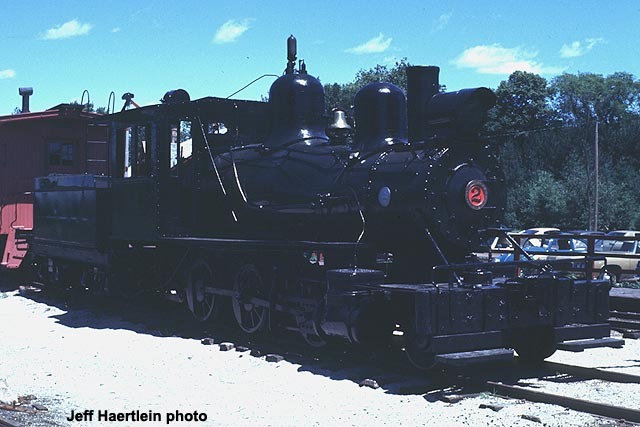 The Joyce family also operated rail lines at Rainey River, Minnesota and Manistique, Michigan. The Ponchatoula mill was reopened on July 15, 1936 as the Lousiana Cypress Lumber Co. 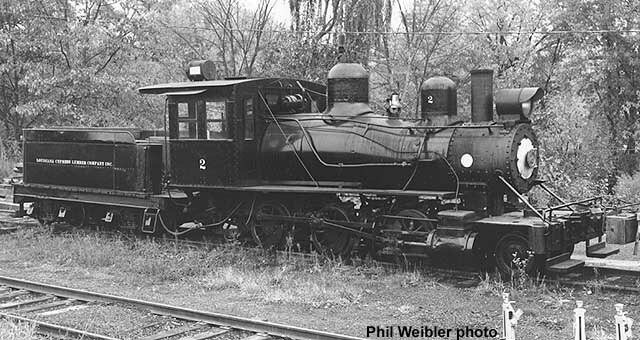 The little 2-6-0 was renumbered to #2 and served as backup to the company’s road locomotive #1, a 2-6-2 built by Porter in 1921. For about a year before the mill closed in January 1956, Cypress imported mahogany logs from Honduras to cut up at the Ponchatoula mill. The logs were shipped to New Orleans by steamship and then transported to Ponchatoula in Illinois Central gonolas. #2 was used in regular service as the switcher at the mill to switch the gondolas while #1 was out on the road. In 1960, #2 was purchased by Mid-Continent, becoming the second locomotive owned by the fledgling group. The engine was moved to Milwaukee while Mid-Continent found a permanent home. #2 did not arrive at North Freedom until 1964, and was immediately put into operation. It was used on occasion, but was too light for regular service. #2 was “back-dated” and named “Utica” for filming of Swedish the movie “The Immigrants” in 1969. LC #2, 1965? No other data. Montgomery Ward slide film. Ron Jones/MCRM collection. 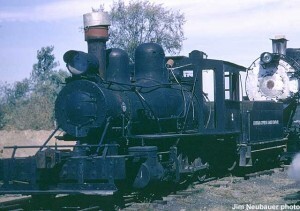 #2 in service, c.1965. Ray Buhrmaster photo. By the early 1970s, #2 was out of service and placed on static display. 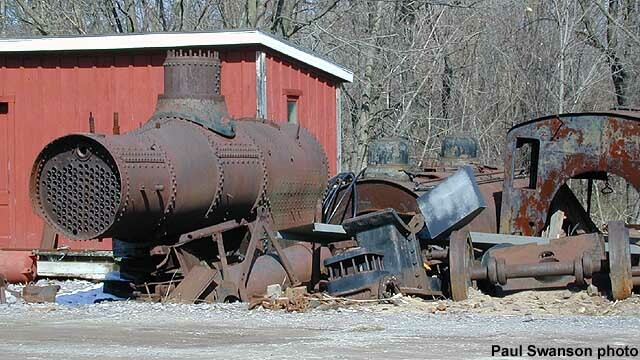 Several members wanted to give her a complete overhaul to return to service, and the locomotive was disassembled. Some parts were shipped to a machine shop in Milwaukee. the work was never completed, and the parts were returned to North Freedom in the 1990s. The #2 was stored in “kit form” awaiting the day when money and time were available to reassemble it. This piece of equipment was deaccessioned in May 2015 as part of an effort to rationalize the museum’s collection. 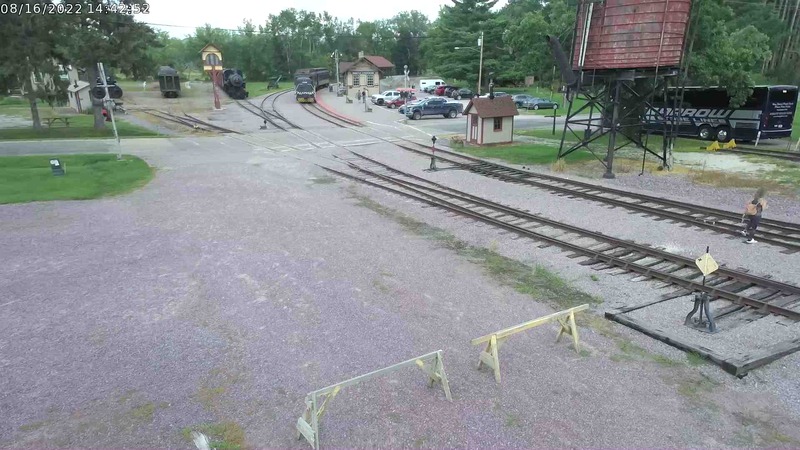 The equipment was deaccessioned in accordance with Mid-Continent Railway Museum’s Collection Policy. The sale of artifacts supports the preservation and accessibility of current collections or is used to acquire other, more appropriate artifacts to fulfill the museum mission. 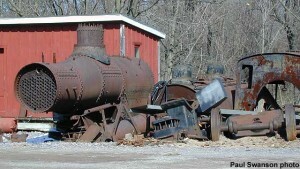 The locomotive was sold to a private owner with plans to restore the locomotive. 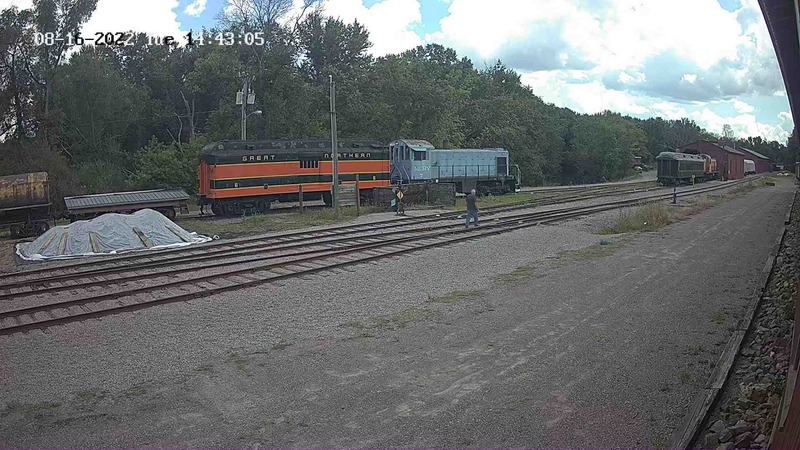 The locomotive’s disassembled parts were relocated by the new owner to rural Reedsburg, WI.